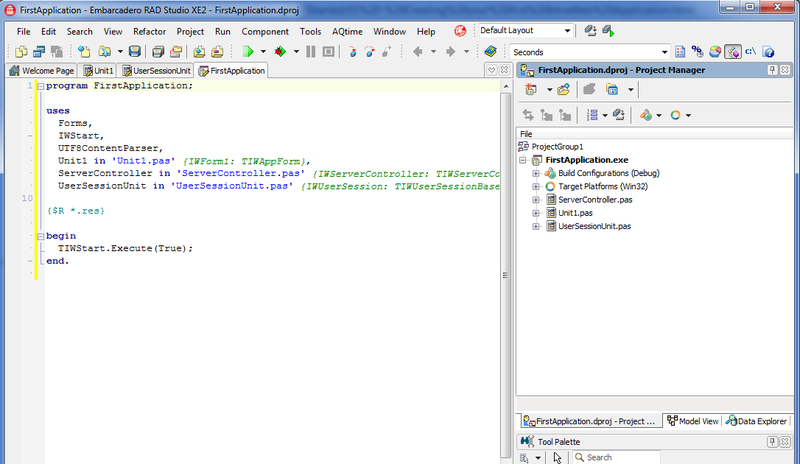 In order to create your first IntraWeb application, you need to use the IntraWeb Application Wizard. You can activate the IntraWeb Wizard through the IDE menu File > New > Other, which shows you the New Items dialog, then choose the IntraWeb option. 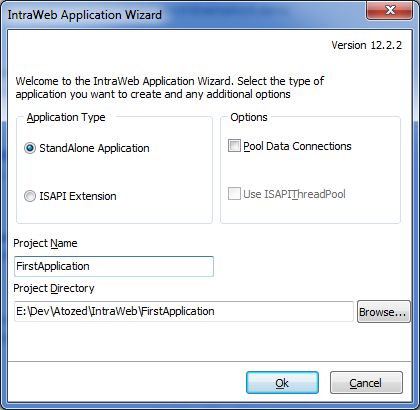 After choosing the IntraWeb option, choose the IntraWeb Application Wizard and click OK. 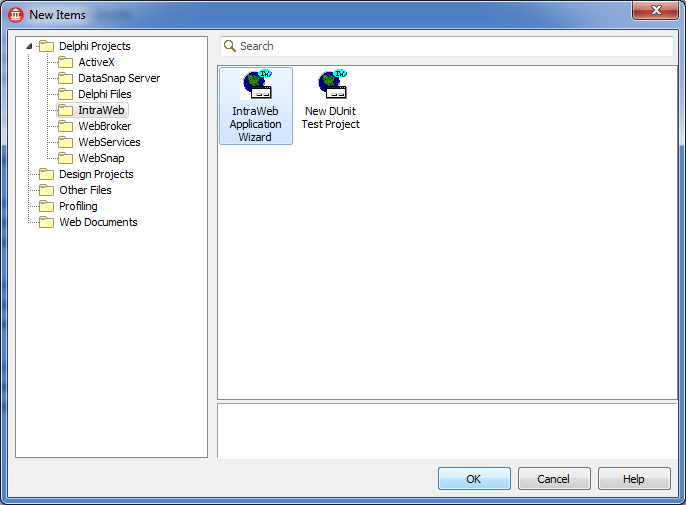 In the IntraWeb Application Wizard, you need to choose the application type, type the Project Name and also choose the folder to save your new IntraWeb application. Click in the OK button and the Wizard will create the basic structure for your new IntraWeb Application, as shown in the image below.